An injury to the shoulder can be one of the most difficult to recover from – ask anyone that has ever suffered from shoulder pain before. They tend to linger far longer than other injuries if left untreated and are usually accompanied by pain and several other symptoms that can inhibit your ability to perform everyday activities. The most common shoulder injury (especially in athletes or active individuals) is shoulder tendinopathy. There are numerous muscles that attach at the shoulder joint and through repetitive overuse, we typically find that the rotator cuff tendon and biceps tendon are most commonly injured. The rotator cuff group is comprised of four separate muscles that function to stabilize the head of your upper arm bone (humerus) in the shallow socket of the shoulder. Rotator cuff injuries commonly result from poor mechanics/movement in the shoulder and overall weakness. Over time, overuse and minor rotator cuff injuries can lead to tears and degenerative changes which can cause further tearing or even rupture of the muscle/tendon. Bicipital tendinopathy commonly occurs as a result of rapid and repetitive eccentric (lengthening) loading of the biceps causing increased tension and strain on the proximal tendon where it attaches at the shoulder. In CrossFit and strength/conditioning training, this can occur from high repetition pull-ups with poor technique as well as progressing too quickly with the Olympic lifts, namely snatches, which places the biceps tendon under an enormous amount of tension in the overhead position. 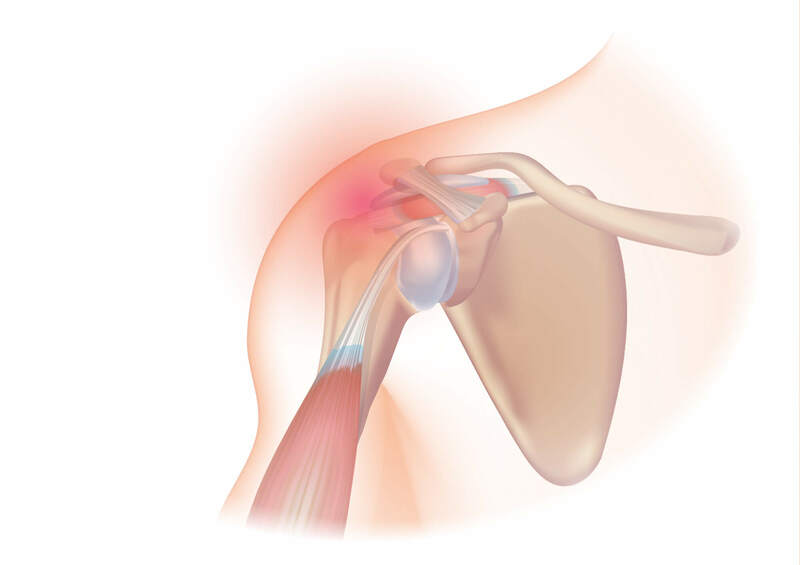 In many cases, torn shoulder tendons begin by fraying. As the damage progresses, the weakened tendon can completely tear. This can happen without even lifting a heavy object. This makes early intervention and treatment of shoulder injuries that much more crucial. There are different types of tears. The more common type of tear is a partial tear, which is an incomplete tear and results in significant damage to the tendon but does not completely sever it. A full-thickness tear is also called a complete tear. This involves separating the tendon from the bone. With a full-thickness tear, surgery is usually required to repair the torn tissue. Most shoulder injuries are not something to just brush aside and not worry about. Even if the symptoms started out mild and have slowly progressed it is still something you want to have checked out by a professional before it gets worse. Depending on the severity of the injury, most can be resolved with RICE (Rest, Ice, Compression, Elevation) and a combination of the self-treatment options listed above. Professional treatment is always recommended, and the techniques used to treat injuries of this nature can vary widely. However, the most common professions that deal with musculoskeletal and sports-based injuries are listed above. Conservative professional treatment options often involve soft tissue treatments such as active release therapy, Graston, dry needling, cupping, taping, and rehabilitation exercises. Addressing deficiencies and weaknesses as soon as they are identified is the best preventative measure as well as focusing on proper mobility required for the movements in your program. If you do suffer a shoulder injury, begin treatment immediately and don’t just brush it off and expect it to go away on its own. 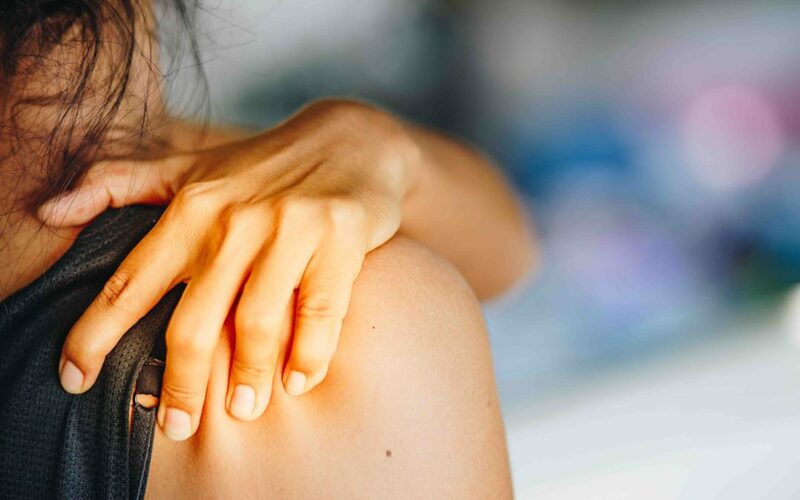 Early intervention is key with all injuries, but you’ll be especially happy that you took care of that shoulder injury before it turns into a chronic and nagging problem.